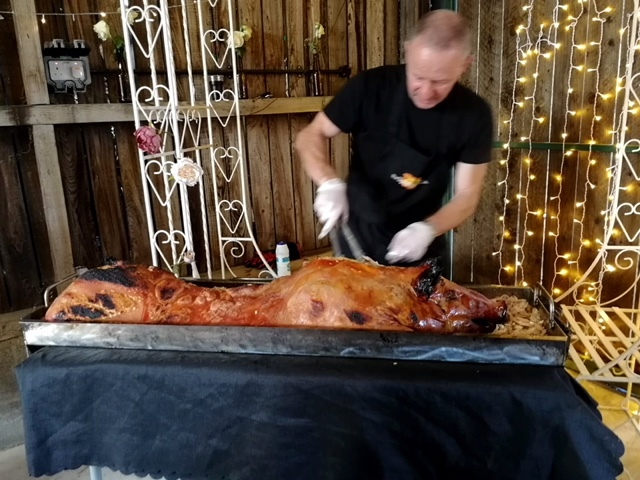 When it comes to catering all kinds of parties and events locally and elsewhere, Hog Roast Guisborough is renowned for providing fabulous food that will be devoured by customers and guests with relish, at the same time as ensuring a professional service and at a great price. 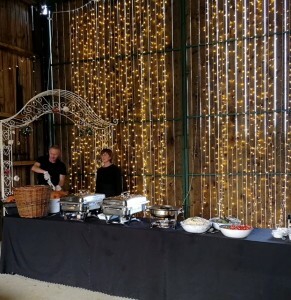 We were recently asked to cater the wedding meal of Nick and Paige, at Deepdale Farm, which is located in Keldhome near to Kirbymoorside. Having been inspired by two family weddings on the grounds, the owners of Deepdale Farm decided to set it up as a wedding venue, where you can design the barns and fields as you wish. The farm has stunning countryside views and options for unique wedding days – some couples have a festival-themed wedding or a rustic barn one instead! 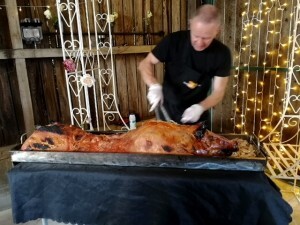 For Nick and Paige’s wedding, we were asked to cook our Menu 3 of a slow-roasted hog complete with crackling, apple sauce and stuffing, but to first serve welcome canapés to the guests. Menu 3 is perfect for a relaxed and informal get-together, and also includes a selection of fresh salad dishes or seasonal vegetables, and for this meal, we would be putting together a green leaf salad, a tomato and mozzarella salad, and a great tower of our homemade coleslaw. 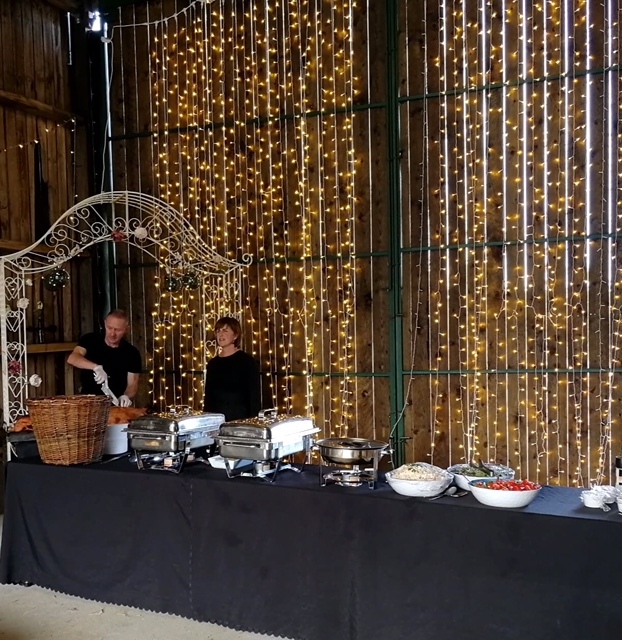 On Nick and Paige’s special day, Hog Roast Guisborough Head Chef Mandy, Assistant Chef Gaz and our two waitresses arrived several hours before the food service. You may be surprised at this but it takes a few hours to roast a hog from scratch, once we’ve lovingly prepared the meat and started it cooking with one of our own hog roast machines. You can’t rush this kind of cooking – it can only cook low and slow until perfectly crispy on the outside as well as tender on the inside, with mouthwatering, juicy bits of pork. Our Hog Roast Guisborough team worked hard to help make this day a great success. It was a lovely sunny day in a beautiful location, and the bride and groom and their guests feasted on plenty of scrumptious food, with many coming back for seconds. Freeeeeeezing Cold but still Roasting!